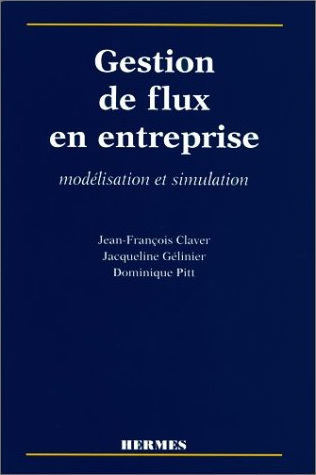 Gestion de flux en entreprise (in French only) shows how inadequate the classical approach for decision making is compared to modeling and simulating complex systems. Simulation enables you to accurately understand and experiment as well as rapidly test all the effects of any change in your business. Very clear and concrete, the book is divided into three parts. In the first part, the authors present through numerous examples the most common industrial issues, and how to deal with them using simulation tools. The second part shows in a more technical way what modeling and simulation are, their underlying concepts and tools, and how it all works. Lastly, an operational guide details all the stages of a simulation project. 1Point2 was involved in writing this book, whose approach can be applied to industrial studies, as well as services. It is aimed at managers, engineers and teachers, in order to assist them in their decision-making process. Simulation Modeling and Analysis, by Averill M. Law. This is the fifth edition of this “bible” about simulation. Operations Management: Strategy and Analysis, by Lee J. Krajewski & Larry P. Ritzman (Prentice Hall, 2001). This book presents the operational tools and techniques for solving problems in order to achieve a firm’s overall goals and strategies, through a balanced treatment of manufacturing and services. Optimization Tools for Logistics, by Jean-Michel Reveillac (Elsevier, 2015). It covers the theory and practice of the main principles of operational research and explains how it can be applied to logistics and decision support thanks to common software.